Welcome to the 2015 Virtual Potluck! Visit my Cornbread CookSet Giveaway by clicking here. 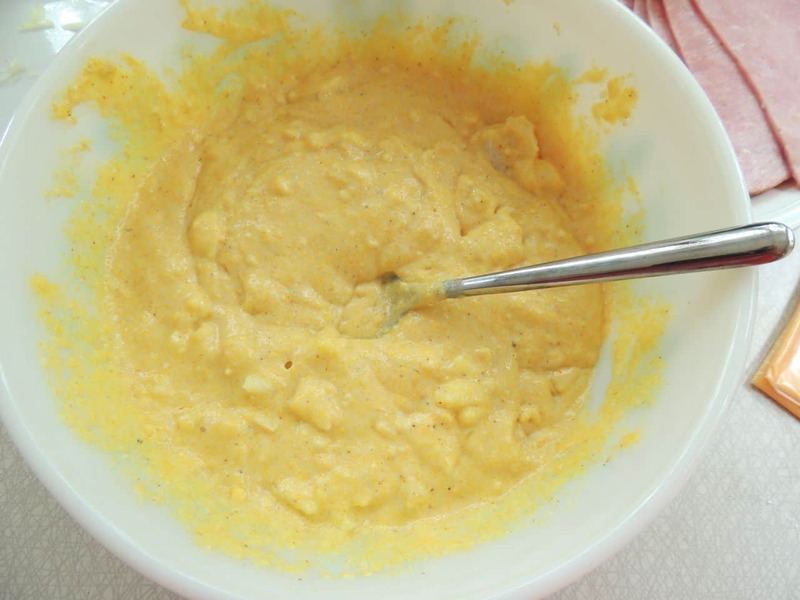 Check out all of the other great recipes in the potluck at the end of this post! Mama Reed was a good person. She worked hard all of her life raising up ten good hearted, hardworking kids. She ran a farm, took care of her family and anyone else that needed taking care of whenever the need arose and she had the ability to do so. She grew a garden to raise food for her family and canned whatever she didn’t use. She went to church and lived her life according to the principles taught there seven days a week rather than just the one. As she grew older, her children moved away and had children and even grandchildren of their own. My mother loved to spend time at Mama Reed’s house because as they visited, she’d put Mama to work helping out in the kitchen – and Mama got to learn how to cook! Isn’t it funny how we see some things as jobs but when we give them to kids they see them as opportunities for fun? Well, without many people to talk to, in her later years Mama Reed fell into a habit that all humans are prone to do without realizing – and rather than her usual “Fine, how are you?” she began answering the question with a litany of aches, pains, and complaints. Without her even realizing it, this had become a habit. Sometimes, our aches and pains get so loud in our lives that they drown out the sound of our blessings, and we forget that there is a volume knob on each one. We often have to consciously reach and turn down the aches and pains and then give the blessings so much attention that we hear them all the more louder. One day, when my grandfather was over visiting his Mama, she answered the phone this way and he sat there while she went through her list of complaints on the phone. When she hung up he said “Mama, if you keep doing that people are going to stop calling you. All you do is complain about things. People care about you and they want to help you when they can, but you’ve got to do more than complain.” This took her aback. You see, Mama Reed was never one to whine or complain in her life and she hadn’t realized that she’d started doing it then. Of course we have things we need to complain about and sometimes we talk about things because we need people to support and encourage us, this isn’t about that. This is about asking ourselves, when someone asks about the state of our life, do we immediately look for the blessings or the curses? Mama Reed just temporarily forgot, as all of us are prone to do, to reach for her blessings first and when she realized she’d left the path she had intended to be on all along, she corrected her course. If someone called me and you today and asked how we were, if we were to answer “Just fine! How are you?” would they think they had the wrong number? When given a chance, which do you reach for first: your blessings or curses? You’ll need: An onion, two packages of corn muffin mix*, Spicy Brown Mustard, 5-6 slices of cheese, a few slices of ham or some other lunch meat of your choice. *You’re also going to need whatever the corn muffin mix package calls for but I’m not listing that here because between all of us, there is no telling what brands of corn muffin mix we may come back with so the instructions will be different. This is the package size that makes six cornbread muffins so that is the size you should try your best to get. Then we’ll prepare that mix according to package directions. Mix up corn muffin mix according to package directions. 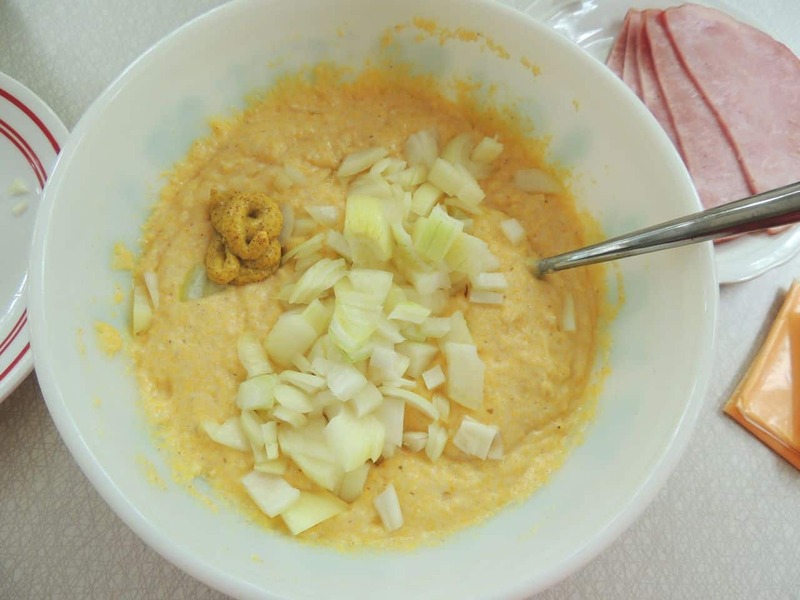 Chop your onion, and add it and the spicy brown mustard. Stir that up really well. 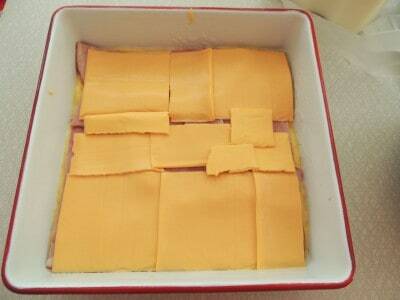 Spread about half of it in the bottom of a greased 8×8 or 9×9 pan. Spread it to cover everything. 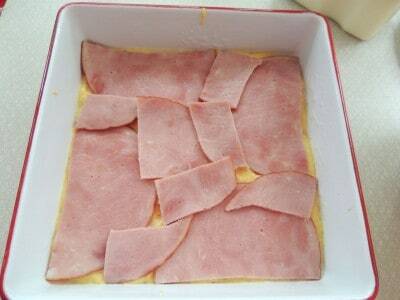 Bake at 400 for 25-30 minutes or until nice and golden brown on top. For a quick supper, These go great with Simple and Delicious Tomato Soup and are also great with Sweet and Sour Green Beans (which I make ahead of time and keep in my freezer!). Preheat oven to 400. 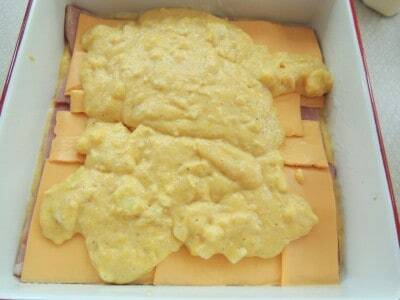 Prepare corn muffin mix batter according to package directions. Spread half of batter into a greased 8x8 or 9x9 baking dish. Top with ham slices followed by cheese slices, cutting them to fit if needed. 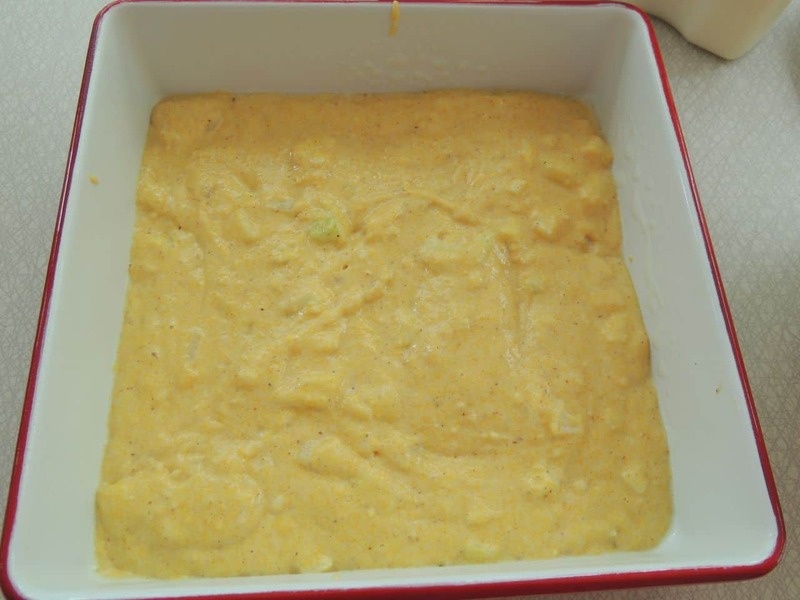 More recipes in the Virtual Potluck! Country Cook: Cornbread Waffles with Chili & Fixins! Submitted by Debbie Strum, thanks Debbie! Submit your quote by clicking here. Your not far from where the Little House on Prairie books were written. I found one of the family homes from an on-line web site. What wonderful words to remember as we get into our “golden years”. As our children learn to depend upon themselves and we begin to simplify our lives, our focus becomes inward instead of the outward. We need friends like Christy to remind us to re-focus! Thank you! Ms. Christy, thank you for sharing this story with us, it’s a wonderful reminder to think of our blessings first. I can’t wait to try this recipe as well, it sounds yummy. God Bless you, Ms. Christy. Glass Chapel set in the hills. I don’t get on FACEBOOK so I’m sending my comments here. For a variation you can use Pepper Jack for a little spice. Oh yeah, we love pepper jack at our house. Sounds yummy! Can’t wait to try the cornbread pan sandwiches! Thank you so much for sharing your story with us. It is often so easy to forget our blessings! Thank you for that timely reminder, I was in danger of falling into this very habit. 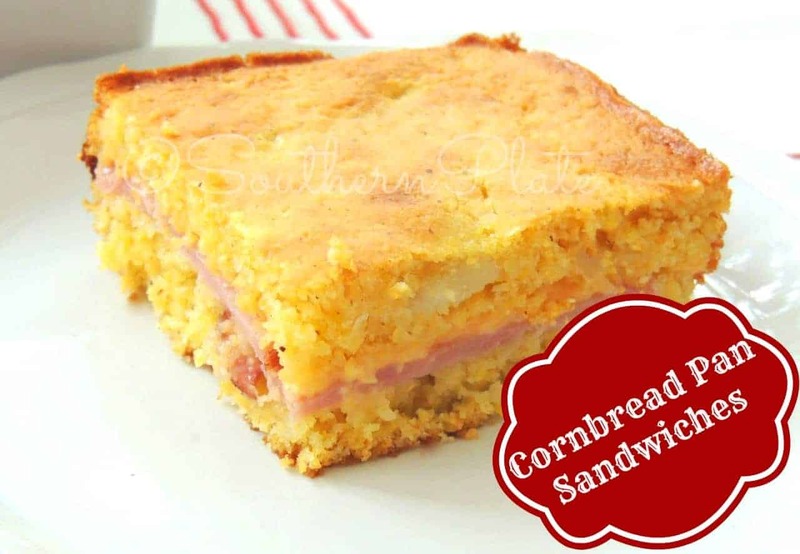 Cornbread sandwiches sound great! 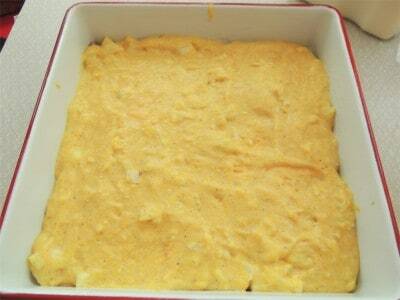 I love Jiffy cornbread – just enough sweet. I am thinking these will be great tailgating sandwiches in the fall. Thank you for another great recipe! I hope you get the chance to make them soon Debbie, I think you will really like them!! Wow! This looks great and sooo easy. I have (or will soon) the ingredients. I am planning on making Hillbilly Bean Soup and this will be perfect with it. Oh my goodness, that sounds good Ann, I hope you enjoy!! 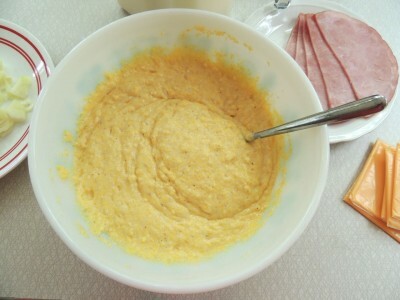 I just whipped some of this up…can’t wait for lunch today!! Thanks for something so good that I couldn’t control my impulses and had to make it right now! I hope you enjoy it Dianna!! Oh, we did! My kids want it again ASAP & my daughter wanted it for her birthday party main course! LOL So some happy campers, for sure! Thank you for always saying something that touches me – whether funny or heartfelt! I love your recipes (I live in a little town a stone’s throw or so from you) and I feel fortunate to know that there are people like you and your family around. 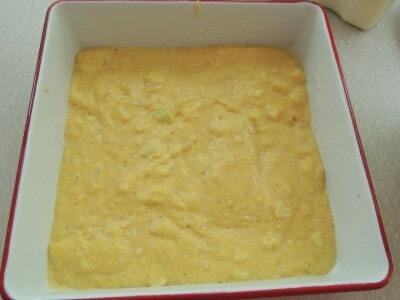 I have got to try this recipe……….my husband likes my cornbread (I think the reason he married me was because I make cornbread like his grandmother used to) so I am wondering if I could use substitute my cornbread recipe for the Jiffy mix? He doesn’t like “sweet” cornbread at all. Then I am wondering if with the addition of the mustard and onion masks the sweet flavor. You sure could substitute your favorite cornbread recipe Kathy!! Those look delicious and my mind I am already mulling over variations. I am a big fan of swiss cheese with ham so that sounds good to me. That mustard might just want a little horseradish added! How about deli chicken white meat with provolone and dill flavored mayonnaise? I could even go wild with sandwich style pepperoni and mozzarella spread with a little pizza sauce. I think these cut into small bars might be great little appetizers as well. Good Gracious this looks so~yummy! Thank you again I will be making this real soon! Hugs and Blessings to you Carmell!! I hope you enjoy the recipe!! When asked how I am, I have two answers depending on the day. My grandma always said “as well as can be expected”. My other answer is “blessed more than I deserve”. That one tells you right quick where the other person stands depending on their reply! Sometimes even changes your “friends list”. Your blog was so timely today as it addresses a dilemma of mine for quite some time. You see, I have been severely disabled for 16 years. Somewhere around year six or seven the doctors just gave up on me and told me to put my affairs in order. Being in my 60’s now it was quite the shock at the manner by which I have been turned away more than I’ve been invited in by the doctors of today. It is just a fact that I have had to learn how to accept that times change and somethings you can do nothing about it. Illness has prevented me from keeping up with all the latest technology, so I often feel out of the loop. I live an isolated existence, maybe seeing another person once a month. My phone doesn’t ring so I don’t think I’m putting anyone off by whatever complaint du jour I experience, but that doesn’t mean that I haven’t fretted over just this topic so often. If it weren’t for journaling, who knows what twists and turns I might have made, they have been a lifesaver because they enable me to express my feelings, giving credence to them, yet without burdening others with them. I don’t believe in “stuffin” our feelings as the stress of that only makes things worse. But journaling has enabled me to “let it go.” And that has been key for me. I’ve got about several hundred journals that hopefully someone will want to read after I am gone. I just felt that I had to validate my existence in some way, but I didn’t want to be seen as some bitter old woman. I often have said that I see myself neither as a victim nor a martyr, just someone fighting to survive the best I can. I enjoyed your site today, it was my first day here, but I will come back. Hi Peggy! Welcome to Southern Plate!! I hope that you will find many things of interest to you here and will get involved and get to know some of the fabulous folks here that we call family! Know just how you feel, I have spent over 40 years of my 62, trying to find out what ails me, I keep getting bits and pieces fixed, but then something else goes wonky, my mother was told when I was 12 or so that “it was all in my head” I didn’t want to go to school so I made up the pain and illness. One of the worst things was the lack of energy for so many of those years. I only felt really well the year I got pregnant, and went downhill after that. Kept on going to the drs, and being told there was nothing they could find. I eventually found out that I have a genetic heart defect (the lack of energy that came and went) that was at 60, while they were looking for what had caused the high blood pressure that eventually led to the heart defect they found a bad gall bladder, but I’m still experiencing problems, and while the heart problem is under control, the high blood pressure is no longer high, the gall bladder is gone, I still have the same stomach troubles, and several other things. But I keep on going to the dr in the hopes that eventually they will find out why, so I guess the takeaway on my life is don’t give up! There really does have to be a reason, its finding the person who can figure out what it is. “I’d of quit,” Orrin said. William Tell Sackett talking with his brother Orrin in Treasure Mountain by Louis L’Amour. This quote helped my husband through a bad time, and he actually had me print it on business cards for him. So just remember that its possible to do things even when everything seems to conspire against you. These looks delicious! 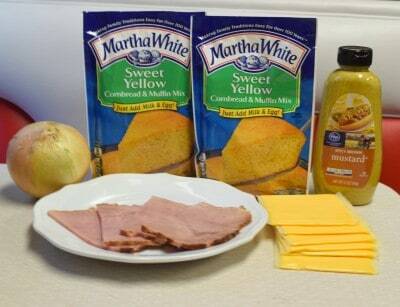 I love to make sandwiches with cornbread, but never thought about baking it all together. So excited that I have all the ingredients to make them tonight! I hope you enjoy Laurie!! Thank you Ellen! They sure are good! What a great story. I’m a firm believer in quickly answering the question “how are you?” with a positive note, and then allowing the other person to tell me really how they are. I find that if you’re quiet, they will list it all out. I’m honored they unload on me. 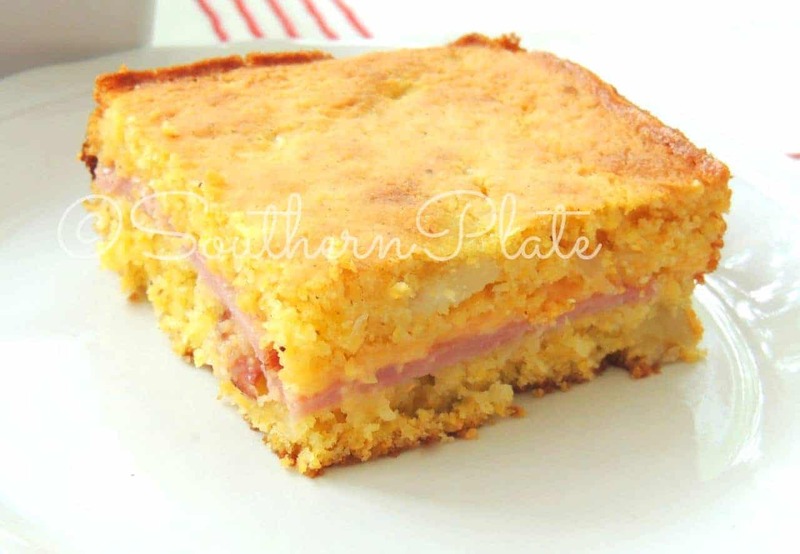 Why have I never heard of cornbread pan sandwiches?! These look so tasty! I hope you get the opportunity to try them soon!! How convenient!! Think of all the possibilities!!! Love this idea…. And what a great reminder for us to count our blessings. The possibilities are endless Katie!! Great story … focus on the positive! I love these kind of recipes … I may just throw in a can of green chilies! I went right home last night and made this. I even went with your suggestion and made the tomato soup to go along with it. Both were a big hit! Thanks so much for a wonderful new addition to my recipe binder. This looks like a good idea for a different breakfast. I do the cooking for someone, and I was just trying to think of something to get me out of the breakfast rut. The person I cook for will love this. In high school I had a friend who was a little difficult. Whenever anyone asked how she was, she’d *always* frown and say, “Adequate!” She also always asked, “What’s good about it?” whenever I said, “Good morning,” to her. In retrospect, I feel sorry for her. I hope they enjoy it Philippa!! My goodness, what a sad life your “friend” must have led. I feel very bad for her that she sees no joy in life. and so on. Thank you, Christy! Great ideas for substitutions Bonny!!! You are a culinary genius!!! I am making this SOON!!! 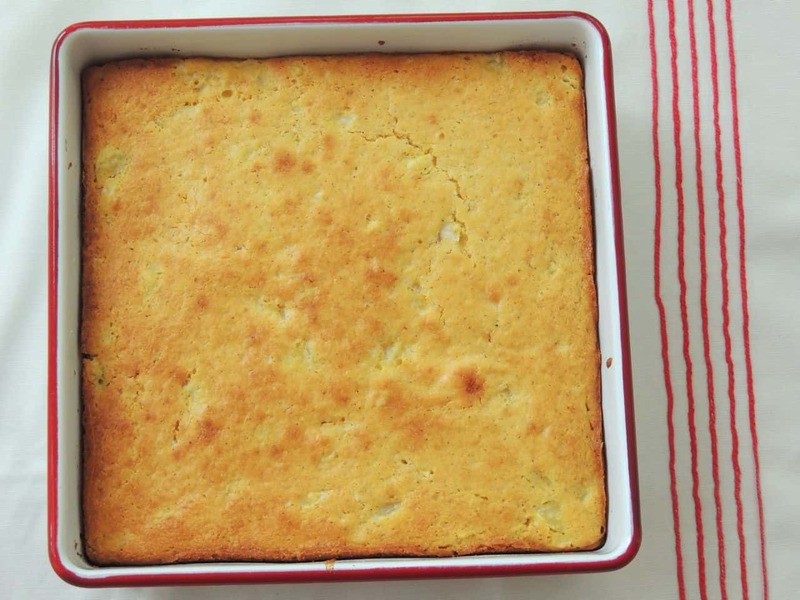 Think you could use any batter bread instead of cornbread? 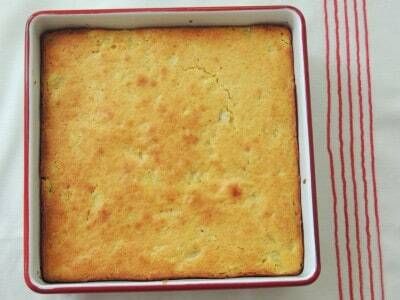 We are a house divided (sweet/nonsweet cornbread) do you think a batter white bread might work?…maybe beer bread? 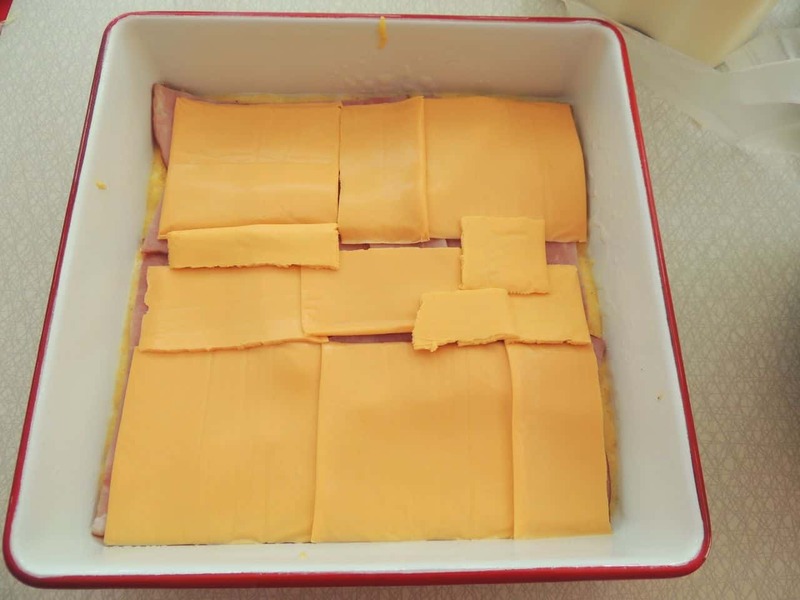 My kids are going to love this instead of regular every day sandwiches, Thanks! You have to make plans to go to the passion play in Eureka Springs! They also have a potter there that is dressed as Jesus that does a presentation — I got cold chills the first time I saw it! A must see!